The Mlecnik 9ha farm, situated in Bukovica at the western end of the Vipava valley near the Italian border, is planted to a mix of Chardonnay, Rebula, Sauvignonasse (ex-Tocai Friulano), Istrian Malvasia, Pinela and Merlot, all of which produces a mere average total of 12.000 bottles a year. All the grapes for their wines come exclusively from their own vineyards which are cultivated organically. Mlecnik has been certified organic since 2005. Their meticulous vinicultural approach is aimed at producing wines of exceptional quality. They have adopted a training method and pruning techniques leading to very low yields and which also serve to build resistance to diseases and pests. When we visited and strolled up the slope, one of our number found a World War One bullet lying atop the turned soils, testament to the fact that this part of present-day Slovenia lay on the front line during the major European wars. Klemen, meanwhile, explained that over the previous few years that they had been having trouble with deer and wild boar who descended from the wooded slopes in search of water and took an unhealthy chunk of ripe grapes just before harvest time. When we visited, we found a World War One bullet lying atop the turned soils, testament to the fact that this part of present-day Slovenia lay on the front line during the major European wars. All maceration in the winery is without temperature control and fermentation is spontaneous. The white varieties spend three to five days with the skins, the reds approximately two weeks. Maturation takes place in classical big Slavonian oak barrels with the wines aged for up to two years in these vessels, bottled and then aged for even longer before release. These are surely amongst the finest wines (fine as in elegant) in Slovenia. Valter Mlecnik was one of the founders of ViniVeri and also the skin contact movement – the only Slovenian to be involved with these projects. Although they are all Slovenians (discuss!). He has delved deeply into the theory of skin contact and showed us an old book (recently translated into Slovenian) – a two- hundred-year old scientific treatise on the subject, called Vinoreja (by Matija Vertova). Valter himself is a serious philosophical man, and the wines are the same, being profound, balanced and calm. I would put them near the pinnacle of those coming from the skin-contact fraternity. The Rebula, in particular, is gorgeous, because he really gets the extraction just right. 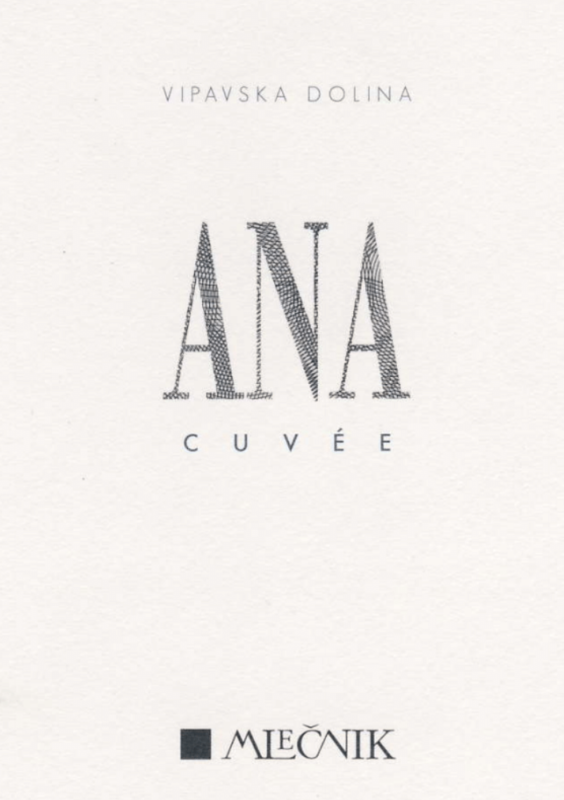 Ana Cuvée is quite lovely also. Ana is named after Valter’s grandmother and is a blend of white varieties: Chardonnay, Malvazija, Sauvignonasse and Rebula. The grapes macerate (skin contact) for three to four days without temperature control. After pressing, the juice was put in big oak barrels ranging between 500 to 3000 litres. This wine was bottled two years after the harvest although it remains in bottle for three years before release. Except for the minimal addition of sulphur and a few traditional interventions like racking and filling the barrels, there was no other method or substance used or added whilst making the wine. Rebula is one of the principle autochthonous varieties of Vipava Valley and as such brilliantly reflects the terroir and vineyards. With its thick skin, it is always last to ripen and produce a wine with the body and tannic structure that reminds one of a red. Mlecnik’s Rebula, for example, was macerated for four days without temperature control and fermented with native yeasts. This allowed the wine to extract the maximum of natural substances present in its skins, ensuring a strong natural stability. The wine is an intense amber colour with brilliant opacity. This is also the consequence of no-filtering approach. After pressing the wine is transferred into big oak barrels, where is remains for two years. During this period, the wine carries out a natural malolactic fermentation. These are surely amongst the finest wines in Slovenia…I would put them near the pinnacle of those coming from the skin-contact fraternity. These are compelling natural wines. Valter laughs as he recalls his first efforts at winemaking – spending 18-hour days in the winery, constantly worried about the temperature, every detail of the process. 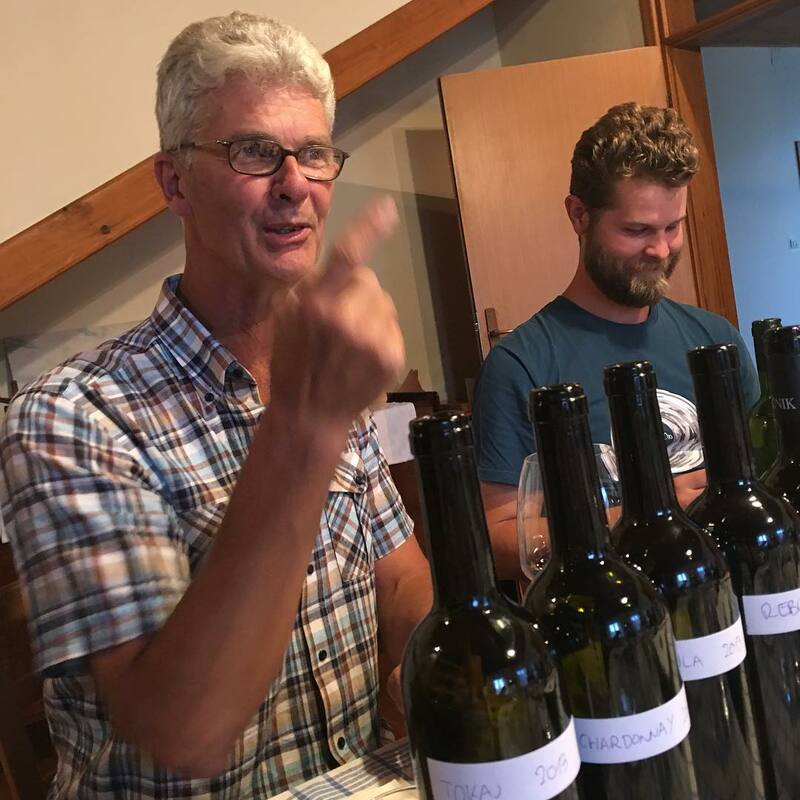 Now, he says, the winemaking is simple, and he is making it simpler still, not worrying about things and spending less and less time in the winery. He proudly shows us his old manual press and how quick and easy it is to assemble and take apart and how simple the extraction is. Deep and serene wines. The texture of corduroy. Refined tannins. The triumph of skin-contact. They are best served in a carafe and brought up to temperature and will match a whole range of different types of food. Previous post: What is a value for money wine?